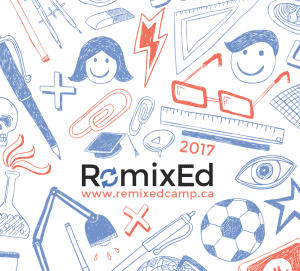 2017 marks the third year of RemixEd Camp, an un-conference for educators across the province, hosted for the second year in a row at Concordia University. “An un-conference for educators” you might ask? What do I stand to gain from an un-conference? Why would I want to give up my Saturday to attend? Would it even help my classroom practice? Would it nurture my professional growth? Who’s gonna take care of my kids? All excellent questions, but before we delve into why you should attend, let’s get our bearings straight on what this fairly new style of professional development entails. We’ll also hear from those that have attended an edcamp and why you should too! It is this free and organic style of conference that puts the attendees at the centre of the day, empowering educators to learn and share about what they are interested in, all the while collaborating and connecting with like minded souls. As one attendee stated, we “are looking for professional development (PD) that meets our needs and interests” because all too often PD is provided in a top-down fashion, responding neither to our needs nor our interests. When PD is internally driven, as EdCamps tend to be, we see nearly “70% of all participants report learning at least 4 or more ideas they want to implement in their classrooms, and 23% report learning over 10”. This year the ideas will be amplified, as Remixed has joined forces with CampEd Montréal to make this event truly bilingual and timely for all educators in our province. Need to expand your PLC (professional learning community)? Look no further than to the connections you’ll make at this type of professional development “with close to 97% of all attendees stating that they developed beneficial contacts at each Edcamp, making it one of the most worthwhile networking events”. The “un” in un-conference dismantles high priced registration fees (it’s free), unhinges top down organization (attendees create the days’ schedule), and removes all commercial implications (no vendors, just sponsors, so lots of free giveaways), making the day about you as a professional, honing your craft through conversation and networking. And all this on a Saturday with a free, all day daycare service. Remixed Camp is organized in such a way as to make the day truly about you and your professional development. This was my first ReMixEd camp and it was a great format. I gathered many take-aways in a relatively short period of time, shared ideas and met some really interesting, and enthusiastic peers. Thanks for making it happen. See you next year, Michelle J. But don’t take my word for it, hear what past attendees have to say. Educational consultant from New Frontiers School Board, Avi Specter has attended all our previous events, and explains it this way, “I love being able to talk with educators who are interested in the same PD and may be going through the same journey as me. How neat is it to compare notes and make new connections that last after the edcamp”? His close colleague, Tracey Rosen, another alumni of RemixEd Camp, echoes this professional freedom, “I ultimately feel more respected as a teacher – PD is not being “done to me” but rather I’m choosing what I’d like to know. It’s truly game changing”. This was a great experience for me. 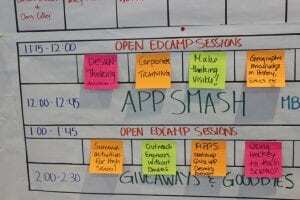 Edcamps are awesome and allow us to talk about what matters to us. I’m glad we convinced you to attend! But you may ask yourself how am I going to prepare myself for RemixEd Camp? Here are a few simple survival guidelines to get you through the day. Join us on September 30th at Concordia’s Molson School of Business for a day like none other, for professional development like none other, for networking like none other, and for of course, fun. Je me lance dans l’aventure pour une première fois et j’ai très hâte de participer à cette non-conférence! Et vous? What a rich conference. Thank you for all the hard work. I think this is an absolutely fantastic form of pedagogical development and forming professional learning networks. Fantastic learning and networking. Thank you so much!